To transfer the graphic to a linoleum carving block, I traced it entirely with a pencil, placed it face down on block and rubbed the back of graphic with the side of pencil tip. 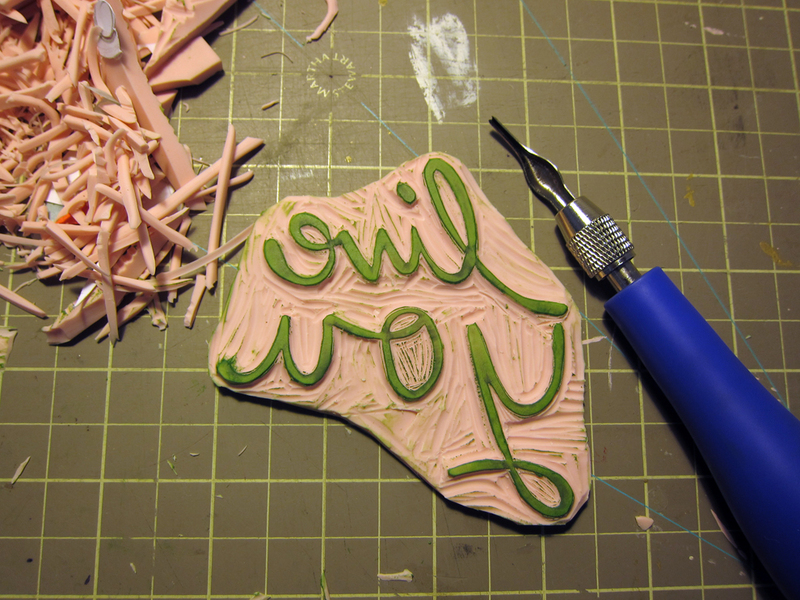 With a Speedball linoleum cutter, craft knife and scissors, I carved away around graphic. To insure the stamp was looking good, I periodically tested it as I carved to see if you need to cut away more around the graphic. I created a template for the olives and traced around it multiple times onto green paper so I could cut out all of them at once. For the olive pimentos, I used red paper and a half inch hole punch. With a glue pen, I attached the red circles to the back side of each green olive. I precut card-stock to fit my envelopes and rounded the corners with a craft punch. ...then flipped it over, carefully centering the block on the card-stock, and pressed down on the back with my fingertips. Carefully lift the block off paper and its printed and ready to be inked for the next card! Before I attached the olives to the cards with foam dots, I printed a thank you message on the back of the card using my inkjet printer and then hand wrote personal notes also. The finished card! I made about 75 all together. With a custom stamper, I stamped the inside of the envelopes with my info to let my friends and family know I handmade each card just for them! 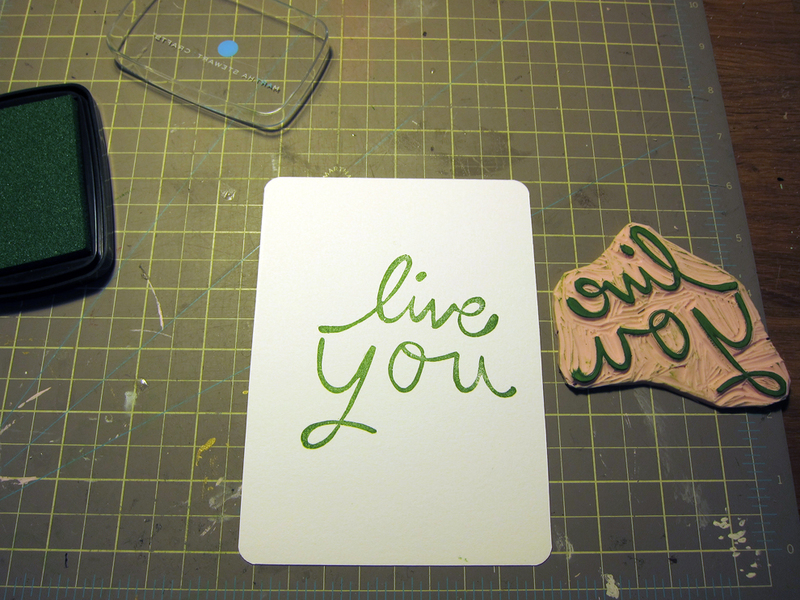 I keep my custom stamper set up so I can use it for everything I make by hand.